So, I’ve never made a cupcake in my life. No freaking kidding. I decided to try these out because I saw them on Trisha Yearwood’s cooking show (yes Ina, I’ve cheated on you) and they looked delicious and perfect for summer. I took them to work and they disappeared pretty quickly, so I think it’s a winning recipe. They would have been even awesomer had I remembered the darn sprinkles – next time! For the cupcakes, first preheat the oven to 350 degrees. 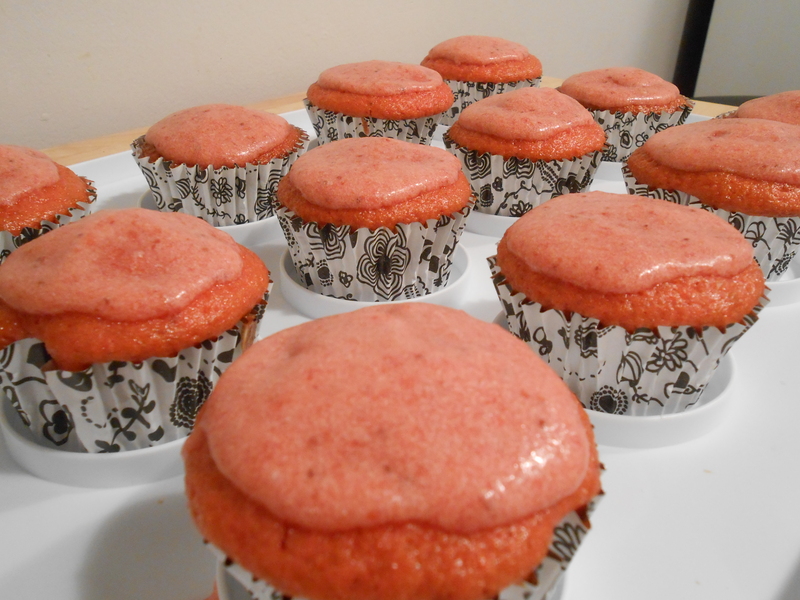 Line 2 pans with muffin cups – makes 24 cupcakes. 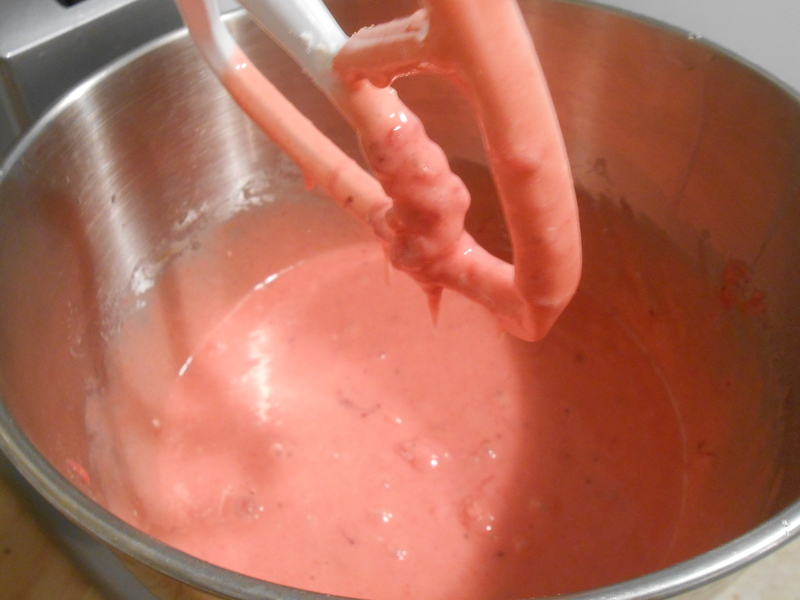 For the icing, in a blender or food processor, puree the butter, sugar and strawberries for the glaze until smooth; it may take a few minutes to come together. 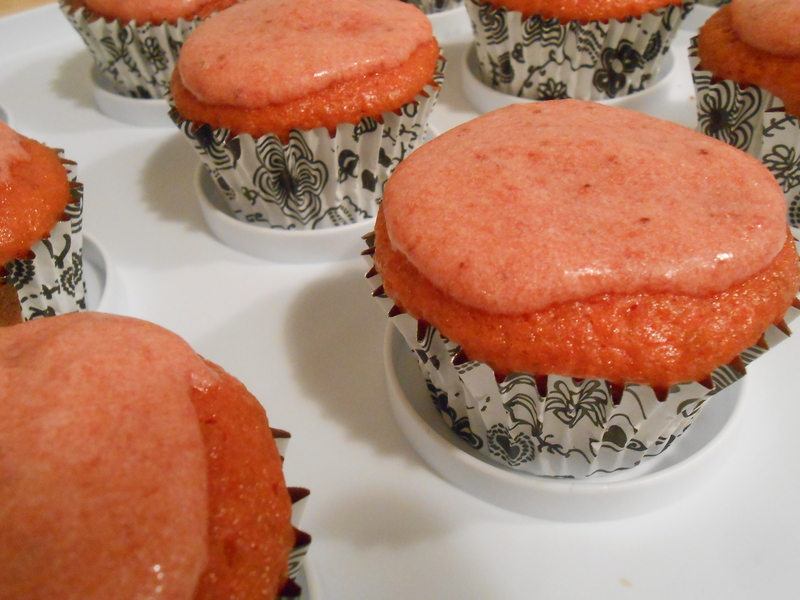 Poke holes in the cupcakes with a toothpick, then spoon the icing over, allowing some of it to seep into the cake. Store the cupcakes, covered in the refrigerator, for up to 2 weeks. YUM!